Buttermilk is one of the commonest things that we find in the kitchen. How many of us know that it has a cosmetic value? 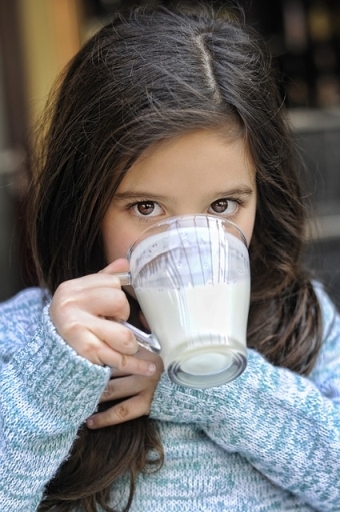 Buttermilk is not only a nourishing drink; it can also be used as deep-cleansing milk. It nourishes and softens the skin. It is excellent in the treatment of severe sunburn. For treating sunburn, prepare a lotion of 5 tablespoons of buttermilk and two tablespoons of tomato juice. Mix them well before applying to the affected part. After about half an hour wash it off. A very good way of keeping the skin soft is to mix two tablespoons of buttermilk with oatmeal powder. Apply this paste once a week on your face. The duration of application of this paste should be around 15 minutes. Wash it off with warm water. Buttermilk is also an excellent deep-cleansing agent. The skin is also nourished if you make a mixture of two teaspoons buttermilk and a few drops of almond oil and rose water. Before bath, apply this mixture over the face and neck. Allow it to stay for half an hour. Then wash it off. Buttermilk also has a cooling effect on the head. Apply buttermilk for twenty minutes on your hair. Rub your hair well with fingers. Finally rinse your hair with warm water. You can add a few drops of lemon juice and honey for a lustrous and glowing result. Buttermilk is lower in fat than regular milk, since the fat has been removed to make butter. It is also high in potassium, vitamin B12, calcium, and riboflavin as well as a good source of phosphorus. Those with digestive problems are often advised to drink buttermilk rather than milk, as it is more quickly digested. Hence a daily intake of buttermilk is essential to keep the skin & body fit, supple and healthy. Buttermilk is lower in fat than regular milk, because the fat has been removed to make butter. It is also high in potassium, vitamin B12, calcium, and riboflavin as well as a good source of phosphorus. Those with digestive problems are often advised to drink buttermilk rather than milk, as it is more quickly digested. Buttermilk has more lactic acid than skim milk. Whole, plain yogurt that has been cooled can be applied directly to sunburned skin and has shown to be very soothing. Products that contain the ingredient lidocaine are also effective for soothing sunburned skin. Lidocaine is an ingredient that acts as an anesthetic. If you have a bit of buttermilk left over in the refrigerator and don't know what to do with it, try making a homemade cleanser. Buttermilk can be for more than just drinking, since it is a very good cleanser and particularly kind to skin. Mix two teaspoon tomato juice and 4 tablespoon buttermilk and apply on the face. Leave for one to two hours and wash off.no sunburn effects are seen. You can make your own ranch dressing using mayo, buttermilk, some lemon juice, fresh herbs like dill, chives and parsley! If you like ranch dressing you will never want the store bought stuff again. I also created a dipping sauce for my Mexican egg rolls but it is good for many things. I used the ingredients above along with a container of sour cream and it is good as well add a little cayenne too. Oh don't forget to add salt and white pepper to the ranch and the sour cream dip. it makes your skin smoother and prevents pimples. 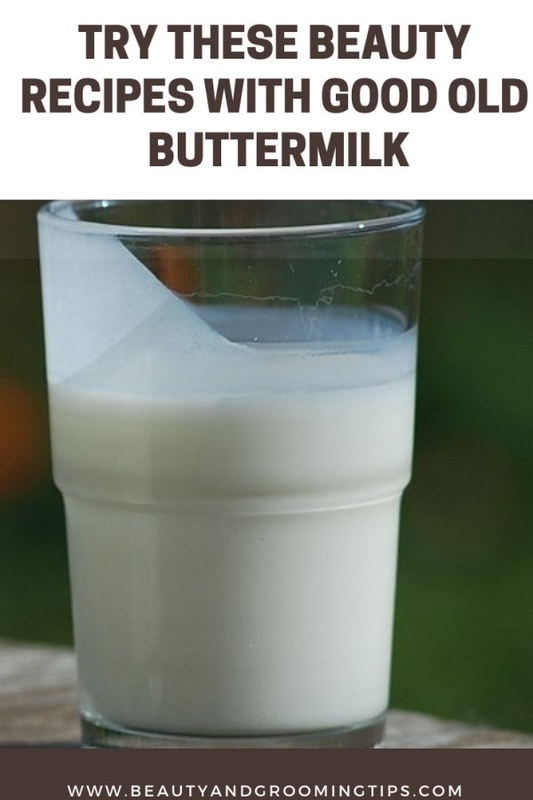 Buttermilk is highly effective in reducing the amount of heat in our body. Therefore, people consume buttermilk in large quantity during the summer season. Also, people facing problems with digestion are advised to consume buttermilk with a small amount of rock salt as it is easy to digest. It is worth mentioning that buttermilk is rich in potassium, Vitamin B12, phosphorus and calcium. Lactic acid is another vital ingredient of buttermilk, which is produced by lactic acid bacteria and this helps us in keeping our immune system stronger. Buttermilk have an appropriately low fat content. This enables you to continue providing calcium to the body while limiting your fat intake. Buttermilk has probiotic qualities that help regulate your body's gastrointestinal system. This is because probiotics introduce healthy bacteria into your body, particularly the digestive tract, where bacteria is essential for the breakdown and absorption of foods and their nutrients. Buttermilk has fats in it (oils) which could clog your pores making it worse. I guess it would work if you wanted to moisturize your face, but stick to something like Neutrogena. If you just need a gentle way to exfoliate your skin, or you want to reduce fine lines and wrinkles apply buttermilk.The lactic acid that milk contains has been used synthetically in many anti aging products to remove the extra layers of dead skin. It also contains healthy fats that moisturize the skin so it wont be dried out when you're done. It is advisable to use butter milk instead of milk for beauty purposes. Not only does buttermilk have a high water content, but it promotes the growth of good bacteria in the stomach. This bacteria is responsible for the reduction of excess gas that accumulates in the organ over time. Wonderful drink one must take it if he/she can afford it.